As a vegan, I (and I’m sure other non-meat eaters, too) have been asked time and time again, “How do you get enough protein?” Even on Instagram, vegan bloggers with tens-of-thousands of followers regularly post meat-free alternatives for getting in enough protein just to prove that yes, vegans really do consume enough protein by eating solely plants. Just recently on the lifestyle and health digital publication, Well+Good, an article was published interviewing Rachel Brathen—the founder of the popular Instagram page and blog, Yoga Girl—as she talked about the best ways for vegans to ensure they’re eating enough protein. For those who are active and/or participate in sports, exercise, or any other sort of physical activity, it’s easy to assume that in order to “make those gains” you would need to eat animal protein—but that’s not the only way. I spent the past weekend visiting my boyfriend who lives in Texas, and on our way to Austin, we stopped at a local juice bar—called Oh My Juice—to treat ourselves to smoothies as a little tide-me-over for the upcoming 2-hour-long drive we had left on our route from Dallas to downtown Austin. When we walked into the cafe and were trying to choose which smoothies we wanted, he, being the non-vegan that he is, wanted to get the protein shake. Little did he know that the protein was actually vegan, and I can honestly say that if it wasn’t for me asking the employee whether or not the protein they used was plant-based or whey, I don’t think my boyfriend would have known the difference. And that’s the great thing about plant-based protein options, they always taste great and can satisfy even the most gung-ho meat eaters. Since fitness and exercise is such an important aspect of my life, and I’ve been trying to increase my protein intake little by little, I’ve conducted some of my own research to see what alternatives there are besides just tofu (I’m not totally a fan of eating a lot of soy, however, tofu is a great option when you’re in a pinch!). Many meat eaters think that the protein found in animal products is higher than what’s found in plants. While that may be the case compared to grainy plant proteins—like lentils or quinoa—other vegan alternatives are very similar in the amount of protein per three-ounce serving. According to the USDA, in three ounces of chicken, there are 23 grams of protein and 75 milligrams of cholesterol. In a three-ounce serving of beef, there are 22 grams of protein and 77 milligrams of cholesterol. While the protein in both of these common meat products is relatively high, the cholesterol is also quite high. According to the Mayo Clinic, the high content of cholesterol and saturated fats found in meat can increase a person’s risk of having heart problems—and no one wants heart problems! In contrast, a three-ounce serving of tempeh offers 16 grams of protein and 0 milligrams of cholesterol. And, a three-ounce serving of black beans has 18 grams of protein and 0 milligrams of cholesterol. Both of these plant-based options are less than 10 grams away from the protein content found in the meat alternatives, yet don’t include any of the harmful cholesterols. But, if you’re someone who still wants to get more protein in their diet, vegan protein powders are another great supplement (here are some of my favorites: Garden of Life, Orgain, and Vega). I love a good salad. And anything with Thai flavoring is an automatic win in my book! This recipe from Minimalist Baker includes deliciously marinated tempeh, fresh greens and veggies, and a creamy peanut sauce. Minimalist Baker has some of my favorite recipes, and she always includes alternatives just in case the recipe doesn’t 100% fit your dietary needs. For this recipe, Dana (the founder of the blog), offers almond and sunbutter alternatives if you’re allergic to peanuts. Plus, her website makes it easy to search for other recipes that also include ingredients you’re looking for. All you have to do is head on over to her website and search “tempeh” to find all of her recipes with this plant-based protein. I have a confession, zucchini noodles are my JAM. I love how fresh and nutritious they taste without making me feel weighed down. 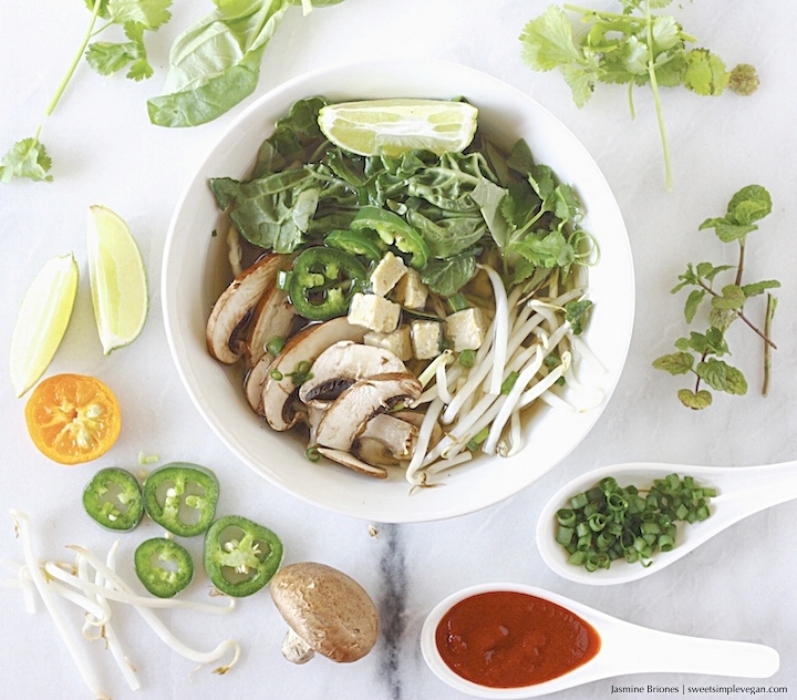 This recipe from Sweet Simple Vegan is a major win in my book. The combination of warm veggie broth, zucchini noodles, and tempeh is the perfect meal to have as the weather starts to get cold. In my opinion, there’s nothing better than having a big bowl of soup after a long day! I’ve been following Sweet Simple Vegan on Instagram for quite some time now. I love Jasmine’s (the founder of the blog) creative recipes that give an ode to traditional, non-vegan meals. I don’t know about you, but minestrone soup is a childhood classic of mine. I remember having Campbell’s Minestrone soup when I was little, so finding a recipe that was a vegan recreation of the original was the best thing since sliced bread (not really, but it was pretty close!). While Laura Lea Balanced isn’t completely vegan, her website and Instagram offers plenty of vegan options! My favorite part of LL’s website is that she’s a certified holistic chef, which is amazing because I know all of her recipes are full of delicious ingredients that are good for my body. Can you tell I’m excited about fall? 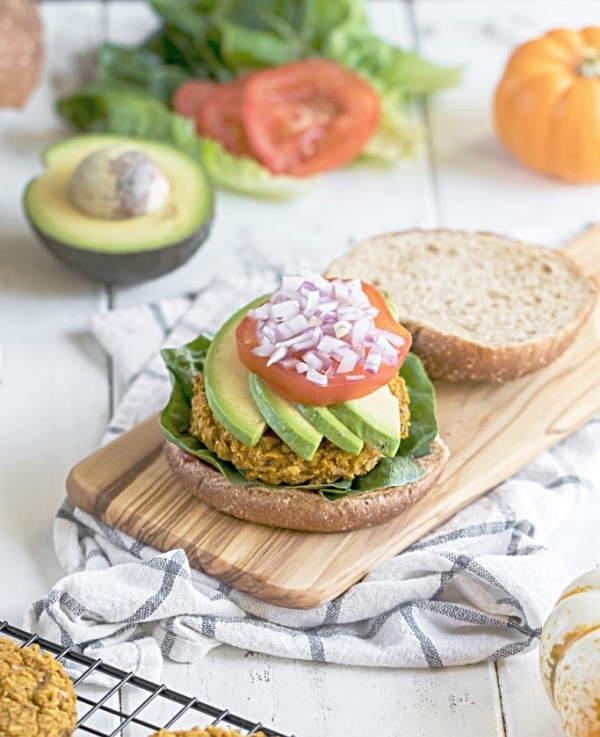 If you couldn’t before, you should be able to now considering this burger from Sweet Simple Vegan has all of the autumn goodness in it: pumpkin, cumin, YUM. I also adore a good homemade veggie burger, often, restaurants either have the Impossible Burger (which I can’t stand) or they make their burgers from scratch—the latter being harder to find nowadays. There’s just something about a plant-based burger that’s filled with wholesome ingredients that makes me (and my stomach) so happy! If you like pumpkin, fall, or all of the above, then you need to try this burger. As you can see, there are so many ways to make sure that you’re getting in enough protein on a plant-based vegan diet. My two favorite types of protein are tempeh and beans, but there are others like quinoa, lentils, and of course tofu! The best way to find what works for you is to experiment with different vegan protein options. So, the next time someone tells you that you can’t get enough protein as a vegan, whip together a little Excel document hyperlinking all of the awesome recipes found online, including the ones from this post! Not only will they be hungry to try the delicious dishes, but they’ll be impressed by your Excel skills.